The look on Lincoln's face is priceless..."What is that?" I always love the way Lincoln looks part toucan: he is *so* colourfull. Looking great! Lincoln is thinking "oh, so that's a cockatiel. Read about them in school!" Just have to take it very slow and let things progress at "their pace", but under your complete and total supervision...And if "their pace" turns into fighting and such, then you've got to learn what their limits and boundaries are. 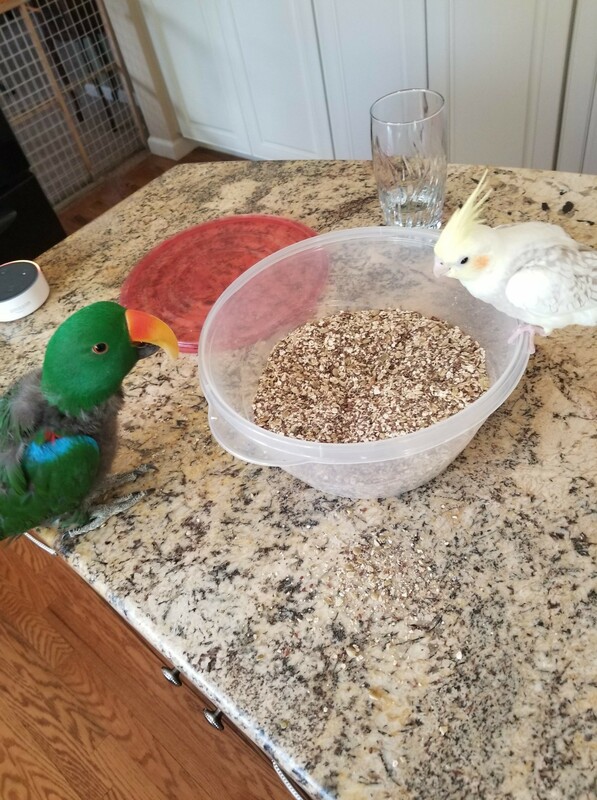 It might work out, it might not...As I'm typing this I'm having to tell Bowie to stop landing on Kane's (Senegal) stand, because Kane likes only Kane and mama, that's it, and Kane can rip Bowie's beak off if he wants to. 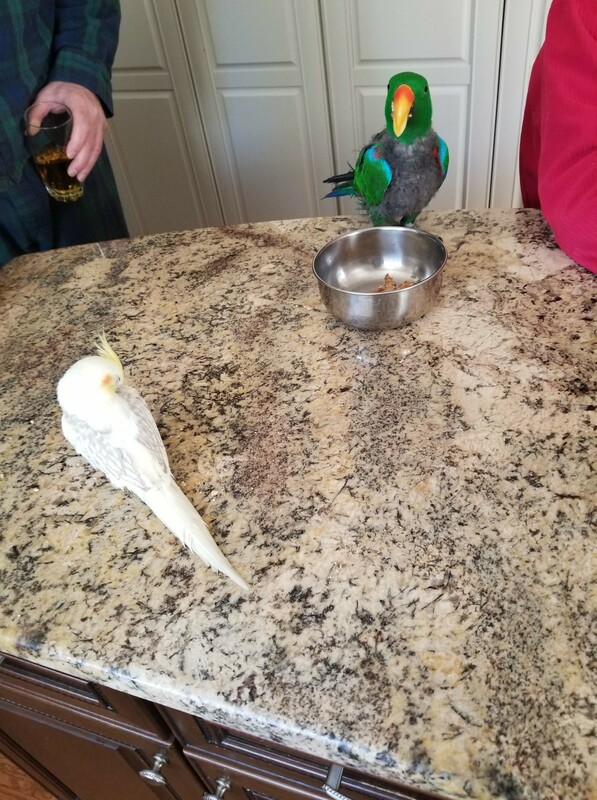 You'd think that the smaller birds would be afraid of the larger ones, especially the larger ones that don't like them, lol, but nope...Every single day we push the issue, it's like a stand-off that I have to supervise over. Just take it slow, at their pace, don't try to force it or push them together because if they're not ready it won't end well...They may very well learn to love each other and be able to be together all the time, or they might not. But I'd say that after only a week or two they're doing pretty well. 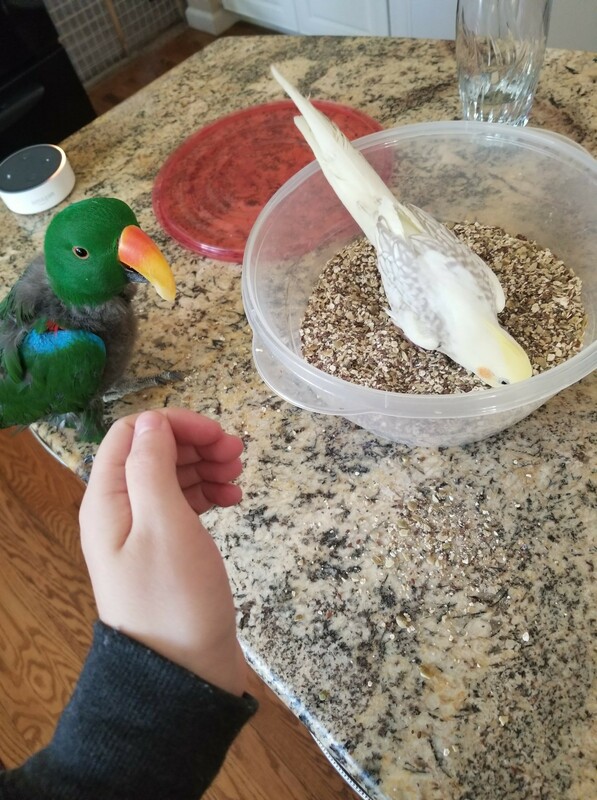 Also keep in-mind that Lincoln has had you all to himself his entire time being there, and in that situation it is usually more difficult for the bird who was alone with their "person" for a long period of time than it is for the new bird...The new birds are typically the ones who are like "Awesome! Another bird lives here! I'm going to go preen him and I bet he'll preen me! Yay! ", because they aren't feeling any of the jealousy that the bird that has already bonded with you and had you all to themselves does. So it's important that you purposely make an effort to pay attention to Lincoln whenever all 3 of you are together, so he knows that Apollo is not "competition", because if he percieves him that way, that is usually what makes it impossible for them to bond, or to at the very least tolerate each other to the point that they can hang-out together safely.